In grade school in Parkston, Rod took accordion lessons and learned trombone. But he really wanted to play guitar, so his Uncle Don gave Rod his acoustic with the strings about three inches off the body. Friends said, “Let’s start a band,” and they learned a few songs when Rod’s folks decided to move to Sioux Falls. Rod found that the Sioux Falls bands had guitar players and drummers galore but no piano players. For the next several years he was primarily the keyboard and trombone player in bands. Beware: Rod was moonlighting on guitar. He would play organ, bass, drums, guitar, sax, trombone and trumpet during The Pilgrims’ show -- even in the same set. Rod’s older son, Raine, liked to go on the tour bus with his dad. While backing up Tommy Roe at a fair in Iowa, the promoter came back stage in a panic because no one had been lined up to sing the national anthem. Raine said, “I’ll do it, Dad,” and sang it like a seasoned performer. Raine had learned all of Rod’s band’s material just by listening. They went on to play together for 16 years. For five of those years Rod’s youngest son, Jordan, also joined the band. Three Jerkes and a drummer! Rod has played in 48 of the 50 states, including Hawaii with the Fifth Dimension, the Shirelles and the Coasters as well as four tours of Alaska. Rod has worked on two Caribbean cruises and traveled Canada from Ontario to Calgary, Alberta. He’s played in Antwerp, Belgium (Diamond Awards) with Tommy Roe, and Tom Jones. Rod also worked in Stuttgart, Germany, with Tommy Roe, Suzy Quattro, the Animals and Cliff Richard. 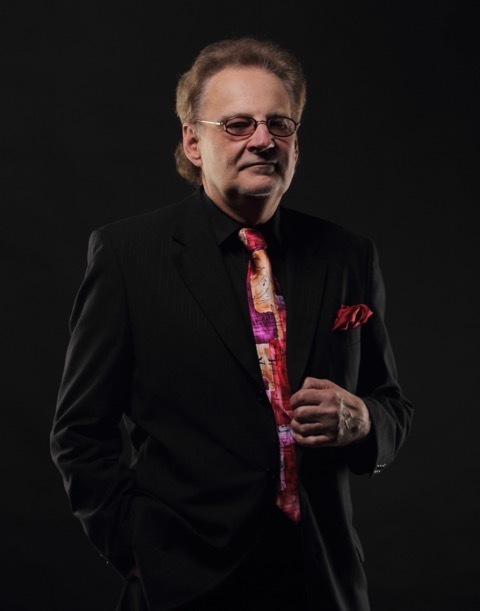 Rod Jerke’s orchestra has performed with Jerry Lewis, Don Rickles, Les Brown and his Band of Renown, the Temptations, the Four Tops, Smokey Robinson, and Mary Wilson of the Supremes. Rod was the former bandleader for Bobby Vee, Little Anthony, Gene Pitney and others. Rod was inducted with the Pilgrims, Scotty Lee and the Stingrays, Priceless, and this year with the Handy Brothers Chessman Show into the SDRRMA Hall of Fame. He, along with Kevin King, founded Hot Rod Chevy Kevy, one of the Midwest’s most popular bands from 1980-1999. Hot Rod Chevy Kevy was inducted into the Iowa Rock and Roll Hall of Fame in 2013. Rod’s current band, PowerPlay, has consistently been voted one of the best bands in the Sioux Falls Local Best magazine over the last 10 years. Rod Jerke is the recipient of the 2016 Lifetime Achievement Award.